real estate market advisory services firm that specializes in property development, new home product analysis, and evaluations. We are not a standard appraisal or research company. Marketlogics evolved out of the market research division of Builder Marketing Services, Inc., so we understand both the market and your needs better. Our advisory services are extensive and help answer critical questions so you can make your project successful in every phase, from community concept all the way to product closings. You will always work with a seasoned, dedicated team. The principals of Marketlogics have a combined five decades of experience in the development and new housing industry. We look forward to helping you realize the full potential of your project. John was the founder of the New Homes and Land division of a major real estate company where he represented builders of all sizes, and was responsible for over $2 billion in new home sales. He recognized a need for better market research in the industry, and in 1996, he founded Builder Marketing Services Co., Inc.
John is a Member of the Institute of Residential Marketing (MIRM), the National Association of Home Builders (NAHB), the National Sales and Marketing Council (SMC), the New Jersey Builders Association (NJBA) and has served on the Board of Directors of the Community Builders Association (CBA). He is a founding trustee of the Builder Marketing Society (BMS), a respected international trade organization. He currently serves as the Chairman of the Board of Trustees and the Board of Governors. He has served as a judge for the NAHB "Nationals" and for many local and state builder level awards programs. John's own work has received local, state and national awards. 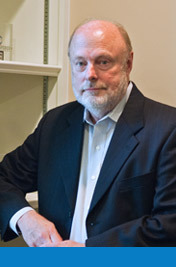 Michael Kehl has over 30 years of experience as an executive in the real estate and home building industries. He specializes in comprehensive market strategies that include market research, product planning, budgets, corporate strategic planning, outreach programs, and selling strategies. He has an outstanding record for creating product design and market driven products that stand out against the competition. Michael has served as vice president of marketing and sales for top-ten industry leaders such as Pulte Homes, Inc. and Ryland Homes. 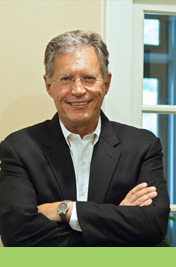 He also has extensive executive experience with significant private home builders. 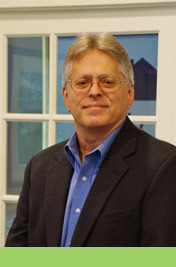 John's Marketing and Market Research skills originated in residential construction. Since 1983, John has dedicated his life's work to new home industry. Through John's years of new housing experience, he has participated in every product type – active adult, luxury single family, trade-up single family, townhome, condo flats, mid-rise condos, high-rise condos, rental product and the condominium conversion of rental apartments. John's expertise has been tested in every conceivable market condition and price range over the last 30 + years. John's hard work ethic, his attention to detail, and his professionalism is a constant motivation to everyone at Marketlogics.